I spent the summer of 2012 with Jesus. And he even let me snap a photo with my iPhone. Jesus showed up to my class, with long, flowing brown hair, white robe and maroon sash. He smiled lovingly, with arms outstretched as if to invite the weary and heavy laden to rest. Jesus also had “gliding action” which allowed him to roll across a flat surface as if he was walking on water. The problem was Jesus was white. Jesus was plastic. And Jesus was made in China. 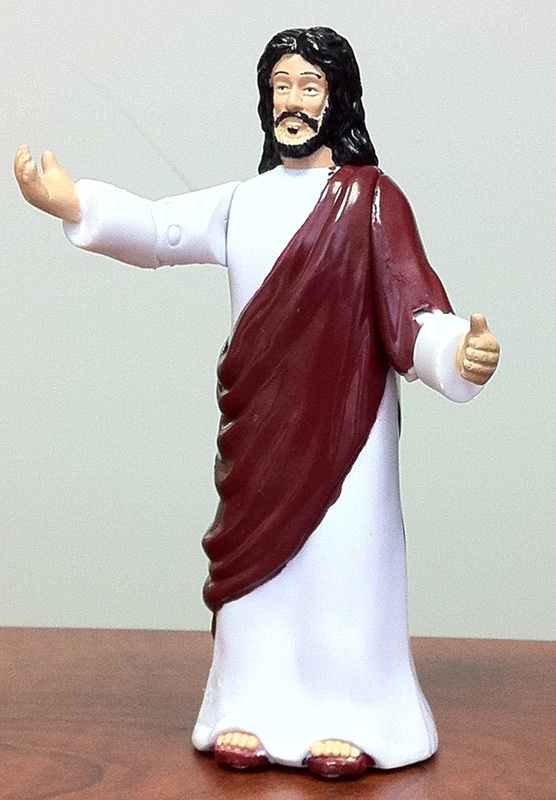 Jesus could be purchased and played with, manipulated to different poses by the hands of a child (the package read “with poseable arms”). 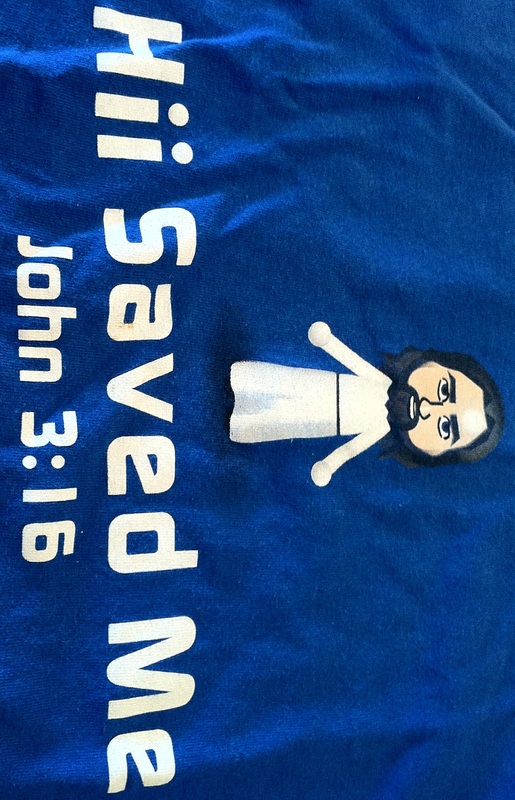 Jesus also appeared on a blue t-shirt I found. Employing the recognizable language of Nintendo’s Wii, the shirt featured a Mii Jesus—a white Mii Jesus of course—with the message “Hii Saved Me John 3:16.” Although silent and unable to talk, the Jesus action figure and the Mii Jesus I used as teaching props spoke volumes about the “color of Christ” in American culture. Part of the inspiration for this assignment came from reading Paul Harvey and Edward J. Blum’s recent The Color of Christ: The Son of God and the Saga of Race in America (UNC Press, 2012). For a course on African American religion, I created a capstone assignment that prompted students to wrestle with and analyze the “color of Christ.” Focusing on depictions of a black Jesus during the Harlem Renaissance, I assigned sections from The Color of Christ (Prologue, Introduction, ch. 7), along with Countee Cullen (“The Black Christ” and “Christ Recrucified”), Langston Hughes (“Bible Belt” and “Goodbye, Christ” 1931 version), and W. E. B. Du Bois (“The Son of God” and “The Sermon in the Cradle”). Building on strategies outlined in my History Teacher article “Of Faith and Fiction: Teaching W.E.B. Du Bois and Religion,” after a background lecture on the Harlem Renaissance I invited students to consider how racialized religion in the United States prompted racialized depictions of Christ. I then asked students to compare depictions of Jesus in Cullen and Hughes’s poems and in Du Bois’s two short stories. We had a riveting, moving, and passionate discussion, revealing that there’s much at stake with the “color of Christ.” African American students remembered seeing Warner Sallman’s 1941 painting Head of Christ in homes and in churches. White students fidgeted at the white Christ, insisting Christ “had no color” but was from the Middle East. Some Latino students identified themselves in Jose Cerron’s painting The Good Samaritan (1982). After deliberating about depictions of Jesus and investigating the literary dimensions of the assigned readings (before sending students off to compose the essay), I presented students with an array of Jesus images from popular culture and from cultures across the world. Finally, I demonstrated how powerful the “color of Christ” is by doing Google Image searches on “Jesus Christ” and “Jesus Loves the Little Children.” Displayed on the screen in front of them—in stark contrast to the black Jesus we just discussed—students encountered through Google images white Christ after white Christ. And then we found that Jesus does, in fact, love little children of all backgrounds, but most of the images depict a white Jesus who loves all the little children of the world. The trouble is, for most of the last 500 years the white Christ has done anything but love the little children of the world—or loved only certain children. These exercises showed that Jesus matters, and that images of Jesus matter. The stories we tell ourselves about Jesus with depictions matter too. For my students whose lives are steeped in the red letters of the New Testament gospels, considering the “color of Christ” in the context of American history proved challenging and disorienting. For some students brows burrowed in concern, for others mouths gasped in amazement, while yet for others eyes welled up with tears. It was what we call a “teaching moment.” Yet as the lesson demonstrated for my students and me, and as Paul Harvey and Edward Blum suggest in The Color of Christ, for those with ears to hear and eyes to see, Jesus continues to turn the world upside down whether he’s a plastic figurine, a Mii character, or the Christ of faith. 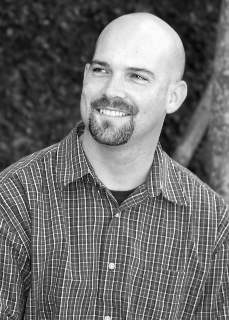 Phillip Luke Sinitiere (Ph.D., Houston, 2009) is Associate Professor of History at the College of Biblical Studies, a multiethnic school located in Houston’s culturally rich Mahatma Gandhi District. A scholar of American religion and culture, he is co-author of Holy Mavericks: Evangelical Innovators and the Spiritual Marketplace (NYU, 2009) and is completing a book on Joel Osteen and American religion (under contract, NYU Press) along with a book-length study of W.E.B. Du Bois’s social gospel. There are some more topics over internet about this, but I didn’t got that much information from them.